"I get high with a little help from my friends." On the outset, Flight seems like a heroic tale of a brave airline pilot who lands a damaged passenger plane, but that illusion immediately goes out the window when we meet SoJet Captain Denzel Washington, drunk and high on cocaine the morning before his flight. His God-fearing co-pilot smells the booze on his breath. Denzel consumes screwdrivers mid-flight. When a mechanical error forces the airplane into a nosedive, Denzel manages an astounding feat of piloting, inverting the airplane upside down to glide it into a crash landing on a field outside Atlanta. Six dead, many injured, but still a plane full of survivors instead of all souls being killed. 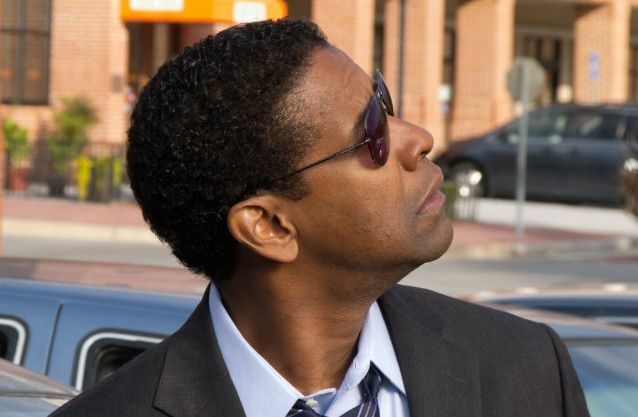 Denzel is a hero, he maintains, but the federal investigation wants him to answer for his toxicology report and the media wants to know the story of why the plane crashed. Slowly but surely, Flight reveals what it's really about: a study of a lifelong alcoholic in deep denial about his disease. The real disaster in Flight isn't the plane crash but Denzel himself. Denzel tries the patience of everyone around him, be they loyal like his old Navy buddy Bruce Greenwood, his attorney Don Cheadle, and Kelly Reilly, the recovering drug addict he meets in the hospital and forms a relationship with, or hostile, like his ex-wife Garcelle Beauvais and his teenage son Justin Martin. Denzel cycles in and out of quitting drinking, flushing countless bottles of alcohol and drugs down the drain, only to fall back into raging benders when the pressure of possibly going to federal prison for negligence mounts. Flight maintains an air of unpredictability as Denzel defies all common sense and his friends pleading for him to quit drinking, including going on an epic, bloody hotel bender the night before his federal hearing. It's a testament to the sheer movie star charisma of Denzel Washington and the sure-handed direction of Robert Zemeckis that Flight keeps the surprises coming all the way to the last moment and maintains the audience on Denzel's side no matter what a completely deplorable wreck he is. Flight also plays with some tried and true Denzel Washington-isms: This time his personal drug dealer espousing the healing power of cocaine John Goodman utters the famous Denzel catchphrase "My man!" With Malcolm X, The Hurricane, and now Flight, time after time, no one goes to prison and ends up a better man for it like Denzel. Denzel makes me want to go to prison to improve myself. Arrow 1x7 - "Muse of Fire"
Revolution 1x10 - "Nobody's Fault But Mine"
Revolution 1x7 - "The Children's Crusade"
Star Wars: Hi, Want To Be A General? Arrow 1x4 - "An Innocent Man"
I'm Luke Skywalker. I'm Here To Rescue You.